Tim Cook has repeatedly voiced his preference for augmented reality over virtual reality during the past few years, but it seems Apple is finally prepping to integrate the technology into its products – and it’s starting with the iPhone. The Cupertino giant has purportedly assembled a secret power team of augmented reality experts in order to supercharge the capabilities of the iPhone camera app with new augmented reality features, Business Insider reports. Leaning on sources familiar with the company’s strategy, the publication speculates the Big A wants to give consumers a meaningful way to interact with real-world objects by simply pointing their phone at them. The effort will bring together personnel from several recently acquired startups specializing in augmented reality, including Metaio and Flyby Media. The revamped camera app will boast enhanced object recognition functionalities, which will allow for real-time interaction like spacial recognition as well as dynamic mapping – both in 2D and 3D. This isn’t the first time Apple has devoted its efforts to developing technologies for object recognition. Earlier this year, the company showcased a Google-like machine learning algorithm that is also implemented in the standard Photos app. 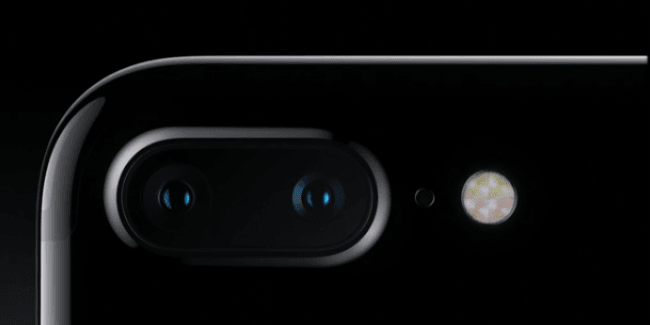 Rumor has it that the iPhone-maker might also release an augmented reality SDK for developers along with the launch of its augmented camera app. This means that the technology will likely allow for further integration with third-party apps and tools. Taking into account recent reports that the Cupertino giant has been working on its own smart glasses in the style of Google Glass, the move towards developing technologies for augmented reality makes a lot more sense. Much like its smart glasses, however, there’s no clear timeline for when or whether the boosted augmented reality camera app will hit the shelves.